The first event of the spring sports season co-hosted by ACS Athens and Campion School took place at the track & field venue of Campion School on April 11-12. 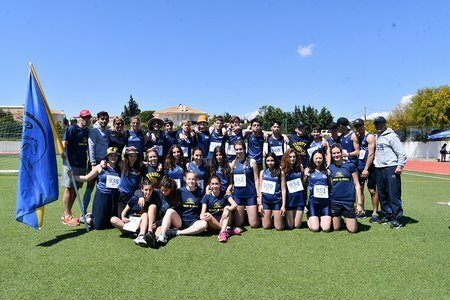 Six schools participated in this year’s International Track & Field meet with CGS, Ellinogermaniki Agogi, German School, Campion, International School of Geneva and ACS Athens competing over the course of 2 days. 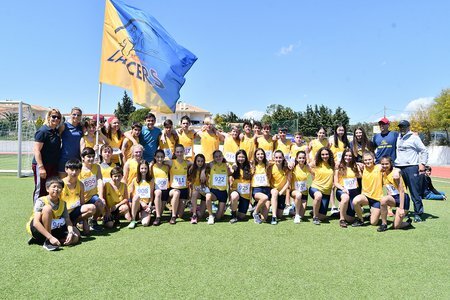 This was a very good preparation for the ACS Athens teams in light of the SCIS Track & Field Championships that will take place next month in Budapest for Middle School and Vienna for High School. In this meet, the Middle School team earned 10 gold, 6 silver and 6 bronze medals, while the High School team brought home 15 gold, 13 silver and 9 bronze medals, placing both teams in 1st place overall. Well done to all the athletes and coaches for their effort and performance during this track & field meet! ACS Athens & Campion will host the 2019 International Track & Field Meet!